Will Adding Cocoa Powder to a Cake Dry it Out? When baking with cocoa powder, you must alter other ingredients to keep the cake moist. 3 How Many Calories in Applesauce? Baking the perfect moist cake is a delicate balance between wet and dry ingredients. Converting a white cake to a chocolate cake with cocoa powder requires you to consider this balance. When adding cocoa powder to a white cake recipe, you have two options -- reduce the flour or increase the liquid. Because cocoa powder is a dry ingredient and similar to flour, adding it without making changes to your recipe can result in a dry cake. To avoid this problem, one option is to reduce the amount of flour your recipe calls for by the amount of cocoa powder you add. For example, if your cake calls for 2 cups of flour, consider using 1/2 cup of cocoa powder and 1 1/2 cups of flour, giving you the 2 cups of dry ingredients. 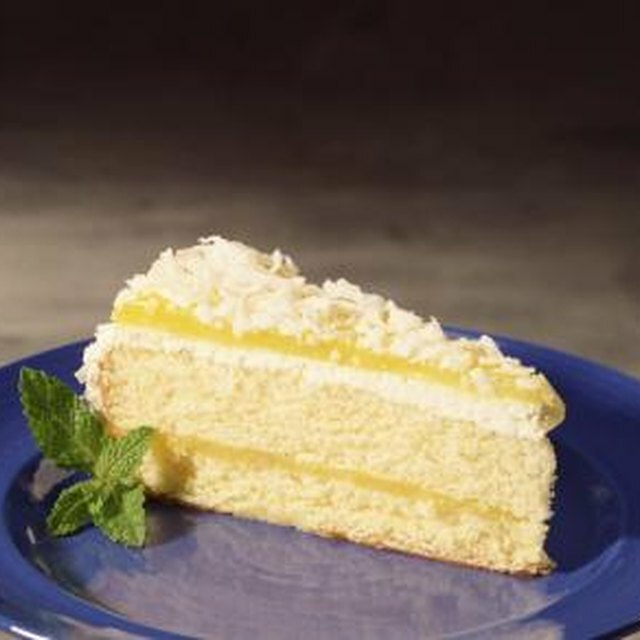 Another option is to add liquid, such as water, to your batter to balance the ingredients and keep your cake moist. Begin by adding a tablespoon or two of liquid and continue adding until you reach the desired batter consistency. 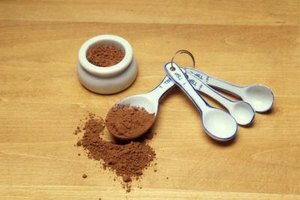 The more cocoa powder you use, the more liquid you must add. Can I Coat Chicken Wings in Cornstarch Before Deep-Frying? What Colors Do I Mix for Beige Frosting?